Our beautiful oblong tablecloth range is available in a variety of colours – including plum, teal, red, black, latte and cream – so you can customise and match your dining setting. Our beautiful oblong tablecloth range is available in a variety of colours – including plum, teal, red, black, latte and cream – so you can customise and match your dining setting. They also come in a range of sizes, so they’re ideal for any size table in your hotel, business or care facility. 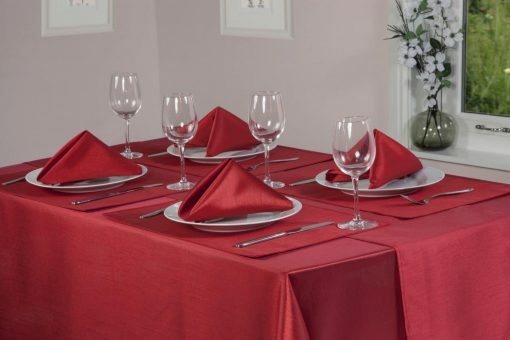 The gorgeous faux silk material is made from light and durable polyester, and can be matched with a selection of napkins, placemats, table runners and coasters from the Homefords’ casual dining range.